Tapping into Power. Energy Psychology meets political correctness and Islamic beliefs. Out: reality denial. In: personal empowerment, facing truth, speaking truth. political correctness and Islamic beliefs. In: personal empowerment, facing truth, speaking truth. 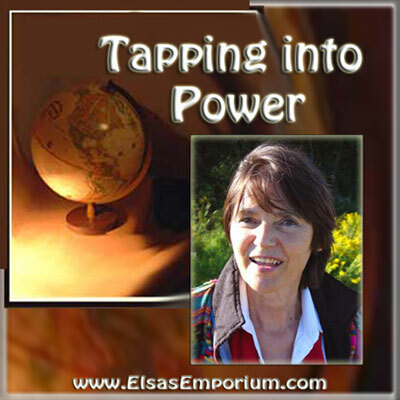 The idea came to me just a few days ago: do a workshop on Tapping into Power, a workshop open to everyone. What is it about? Tapping refers to tapping onto acupressure points to release inner blocks. Why care about that? The fewer inner blocks we have, the more effective we are - including when it comes to dealing with Islam. I sometimes feel I step between 2 disconnected worlds: the world of tapping and energy psychology, and the counter-jihad world. Parts of the tapping world seem insane to me - the seemingly complete lack of awareness of Islam, often the utter disregard for all external reality. Anything that happens to you is because of you. Then I enter the counter-jihad world. Phew. More sanity. But I haven't come across much recognition that inner change may make us more effective. And I've never heard tapping mentioned. So I've created a FREE introductory workshop. That way everyone can to try this strange thing. And if it appeals, there will be a 7-week workshop. My suggestion: at least read about it. Every single strength helps us.